Path of Fire, the latest Guild Wars 2 expansion, released just about a month ago on September 22, bringing with it new adventures and places to explore — and all new music to set the mood. 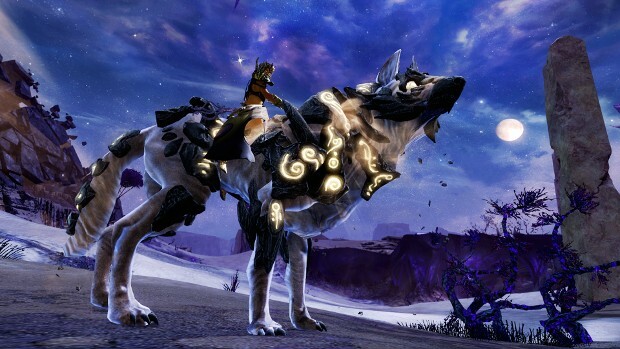 The themes in the Path of Fire expansion are the product of a small team of composers overseen by ArenaNet’s in-house composer Maclaine Diemer. 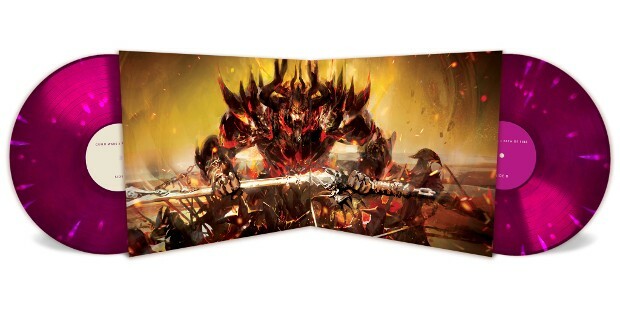 Diemer’s full orchestral scores are a popular feature in Guild Wars 2 — so much so that they warrant releases of their own in a selection of formats ranging from digital to the resurgingly popular vinyl LP. In fact, his work on the Path of Fire soundtrack is now available to purchase in most of those formats. The LP version is available for pre-order via iam8bit. In honor of the latest soundtrack release we were able to obtain an interview — via email — with the composer and gain some insight in to what it’s like to create music in the video game industry and how one goes about procuring such an occupation. The interview is available in full below. MMOBomb (MB) – How does one end up on the path to becoming a video game composer? Was this what you thought you would be doing when you decided to shoot for a career in music, or were you thinking more along the lines of composing for movies and television? 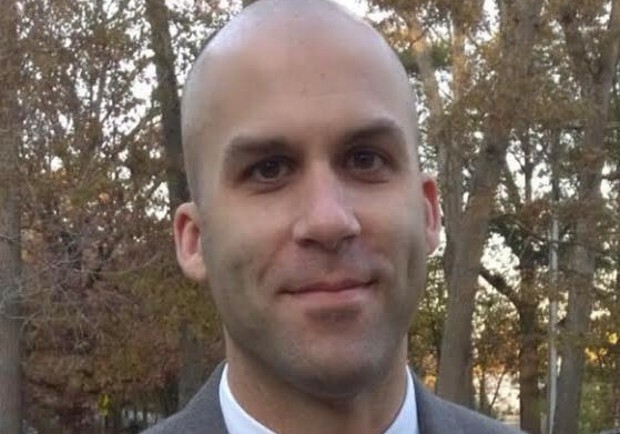 Maclaine Diemer (MD) – This is a question that I think would have a wildly different answer from any composer you might ask. When I was younger, I spent all my time and energy playing in bands and trying to be a rock star. I did a lot of touring and had some amazing and not so amazing experiences. I don’t regret it at all, but I’m happy I’m not doing it now. When things were winding down for my band days, I was trying to think of ways to make a living doing something I cared about that didn’t involve sitting in a van 80% of the time. One of my band-mates at the time was also a programmer at Harmonix Music Systems in Boston, makers of the Guitar Hero and Rock Band franchises. I had an interest in games that I thought I’d try to pursue at some point in my life, and he knew it. At the heyday of Rock Band, when the company was expanding, he suggested I give him my resume and he would pass it along to the HR department. I ended up getting hired, doing the note charting for Rock Band 2, The Beatles: Rock Band, and Rock Band 3, as well as doing some sound design on all those games. I eventually wanted to leave Boston, and looked around everywhere for more game sound design jobs. At that point, I thought I’d never have a career making music and was perfectly happy with sound design. There’s a lot of crossover in the skill-sets required, and many sound designers are also musicians. I landed at ArenaNet and was very happy there doing sound design for Guild Wars 2. Eventually they decided to bring the role of composer in-house, and I asked if they would let me give it a try. It was a big risk on their part, since I essentially had no way of proving I could deliver a Guild Wars type sound that would sit alongside what had come before, but they gave me a chance and I’ll forever be grateful for it. A career in music in any form is challenging to make a reality, so I feel very lucky to be where I’m at and working with this tremendous studio. 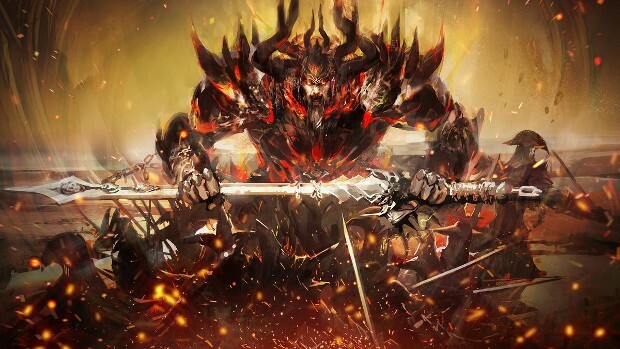 MB – You’ve created a variety of differing pieces for Guild Wars 2, something that obviously has to be done with projects like MMOs that take on their own life and evolve over time. How do you continue to create music that changes with the game while ensuring it stays true to the core of it? MD – It can certainly be a challenge day to day to make sure you’re not repeating yourself. The advantage of Guild Wars is that the foundation of the music is the orchestra, and orchestras are big, complex music making engines, and I don’t think I’ve even begun to scratch the surface of the possibilities there. I won’t claim to be an expert when it comes to music, so I’m always trying to grow and learn as much as I can. There are periods of time where I’ll get fixated on some new musical idea, a type of scale or a way to move from one chord to another, and from there, there are so many ways to apply it to an orchestra. Which instrument or combination of instruments should play it? Once they have, where does it go from there? And so on and so on. I’ve been making music for a very long time, and I still find new doorways that lead to other doorways every day. There’s also more room for experimentation in Guild Wars music than you might think. Whenever I’ve gone in a direction I thought might be too much for fans, it will often resonate with them even more than the pieces I think of as right in the Guild Wars wheelhouse. I love that the players will often go in new directions with me when I decide to stretch a bit. 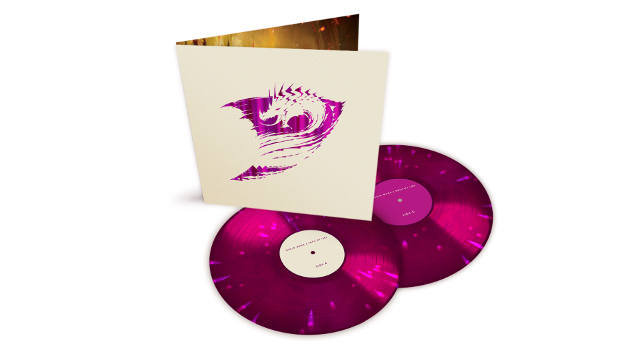 MB – The Path of Fire expansion is just the latest soundtrack you’ll be releasing on vinyl. Other than the rising re-popularity of the medium the last few years, is there another reason you choose to release the albums this way? There’s generally a lot of audiophile debate over the sound of vinyl being better. Is this something you feel to be true, and does that influence the decision? MD – In my band days, which was right at the start or maybe even just before the vinyl resurgence, we would dream about releasing a record that way. We’d look into the costs, and it was always out of reach, I think because there wasn’t enough music being released that way to drive the costs down. When we started doing live music for Guild Wars, it was originally in pretty small chunks for the Living World episodic content, so we just put it on Soundcloud for players to listen to and download. Since Heart of Thorns was the first big single chunk of music I’d been a part of, I thought it should be treated as something a little more special. Originally I would have been happy just having it on Spotify and other streaming services, since that’s how most people get their music now. As we were preparing it, a company called iam8bit brought up the idea of vinyl. They had begun doing some merchandise stuff for Guild Wars with plushies, t-shirts, and posters, but already had a thriving part of their business releasing game soundtracks on vinyl. They pitched the studio the idea and that was that. With Path of Fire, it only made sense to release another vinyl. Whether or not it sounds better is debatable. There are so many factors that go into that, from how it’s recorded to how it’s mixed and even the physical quality of the vinyl and how you press the grooves into it, not to mention the expense of a playback system that would get you the most out of it. Still, there’s something amazing about the physical aspect of holding the soundtrack in your hands. The design choices, from the vinyl color, text layout, and logo treatment to the beautiful concept art by some of the studio’s amazing artists, all adds up to a little distillation of the game itself. It also allows me to write a bit about the ideas behind the soundtrack in the liner notes, which I think is nice for fans of the music who want to go a little deeper into it. MB – Now, you describe the pieces in the Path of Fire expansion as being “light and airy” — something that’s befitting of the open desert environment. When working on a piece designed around a specific environment, what do you look to in the way of inspiration? Are there specific pieces that others have done that you think of when working on a region, or is the inspiration all internal? MD – Inspiration can come from anywhere, and often it’s necessary to be open to some new source of it in order to stay fresh and excited. The most common way to get inspired is to talk to the designers and writers about the content they’re working on, as well as look at concept art. If it’s far enough along, I’ll also fly around in the game itself and take screenshots of key areas I think are important. The goal of the music is always to enhance or guide the emotion of a scene or setting, so I want to make sure what I’m writing is in-line with the vision of the other people working on the game. One thing I had to keep in mind for Path of Fire more so than other content I’ve worked on is that we’re revisiting major areas from previous Guild Wars games. If there was previous music that I thought had a strong association with that area or character, I’d try to incorporate it as much as I could without just copying it note for note. There are little snippets of melody and sometimes even just chord progressions like that sprinkled all through the soundtrack. MB – You’ve also stated that you had to beef up your crew for working on the score for this expansion. As a composer, what are some of the challenges of working with more people versus working alone or with a smaller group? Also, what’s the process like when composing for a game of this size? Is there a good bit of input from the other departments on the development team? For instance, do the artists designing the zones have input? MD – There’s a small challenge to your ego that I think anyone would feel when sharing composing duties, but honestly I think it’s healthy to put yourself in that situation for a variety of reasons. No two composers write the same way, in my experience, and when you share the work, it opens you up to possibilities you didn’t think about before. That’s how it works for me, at least. I love giving a snippet of a melody to another composer and seeing what they can do with it. With all of the composers I’ve shared writing duties with, Lena Chappelle, Stan LePard, Wilbert Roget, II, and Brendon Williams, I’ve found they’ve inspired me and pushed me to work harder on my own music, and I’m very thankful for that. The process for this game was a little different than in the past. On Heart of Thorns and for the Living World content, I was generally given carte blanche to do whatever I wanted after my initial meetings with the design and writing teams. That freedom can be a blessing and a curse, because sometimes you’re desperate for some kind of feedback to see if you’re going in the right direction. This time around, rather than present finished pieces to the studio from my ivory tower, which often has a feeling of “this is the music, take it or leave it”, I wanted to really make sure the rest of the team had input. So I would write essentially a sketch that would get the point across and send it in for approval and feedback. It could be as short as 30 seconds, where it would maybe just run through a melody once, or it could be a bit longer and more fleshed out but still not finished. The game has more music than anything we’ve done in the past, so this was a way to get a lot of ideas out quickly rather than get hyper-focused on them one at a time and get bogged down. The team wouldn’t ask for a ton of changes, but the ones they did were generally for the better, whether it was taking a piece intended for one map or character and using it for another, or sometimes even changing the instrumentation a bit. While I’m open to feedback from anyone at the studio, the primary people involved were the lead content designers and writers, since they are in charge of creating a cohesive story in the game. MB – Speaking of the other departments, what’s the work environment like for a composer at a video game company? Do you feel it’s much different from other types of projects? And what about the longevity? MMOs are unique in that they’re something that are designed to be around and growing for a long time. While that probably means a bit more job security than moving from one project to another, do you feel it hampers your creativity any, or does it give it more room to grow? MD – It’s pretty rare for any game studio to have an in-house composer. Most composers are freelancers and are brought on as the project requires them. While it’s best to be involved as early as possible, there are months or years of pre-production and early production that are necessary on any game before a composer is brought on. My relationship with ArenaNet is kind of a hybrid. I spent many years working in the studio, but for the last couple of years I’ve been working remotely. Both Heart of Thorns and Path of Fire as well as all the Living World Season 3 pieces were done this way, as a matter of fact. From a personal standpoint, I tend to like this arrangement more because solitude is so essential for writing music. You need to block out all other distractions, and that’s difficult in an office environment, even one that is so supportive of the audio team like ArenaNet is. The big downside is how aware you are of day to day things in the development process. It happens rarely, where you might be working on something that goes through dramatic changes or gets cut all together without you knowing, but it does happen. Still, the tradeoff is worth it for me. I don’t feel hamstrung by the constant need for new content in an MMO. Sure, after finishing up a big project like Path of Fire, there’s a need to take a bit of a break before diving back in, but overall I still feel like there’s a ton of room to grow the sound of what Guild Wars music can be. I’m in a very advantageous position where I constantly get to try new things and see if they work. So far, the studio and players have, for the most part, been very open and on board. MB – So, I’ve listened to a few of the pieces from Path of Fire and I’d say it’s a pretty fair sampling of pieces from environmental to boss and battle. Do you have any favorite? And if so, why? Also, are there any pieces that gave you some difficulty in creating? And if they did, what did you do to combat that? MD – First off, I should say that I didn’t do any of the combat or boss music for the game. That was all handled by Wilbert Roget and Brendon Williams, and that was by design. Personally, I don’t feel like writing that kind of music is a strength of mine. In order to do it justice, I thought we needed to bring in people who could knock it out of the park, which I think they absolutely did. There are three tracks for the different encounters you have with Balthazar throughout the game, and I think they’re all incredible. Will and Brendon took my very simple melodic motif for Balthazar and dialed it up to something massive and powerful with their writing. It’s forced me to actually try to get better at writing combat music so that mine can stand next to theirs’ and not seem weak in comparison! For my own music, I’d have to say my favorite are the first two pieces I wrote at the start of development. They’re called “A New Journey” and “Elona Reach” on the soundtrack. To me, they just kind of sum up what I think the Path of Fire soundtrack is all about. There were some fun bits in there to work on, like the percussion and overall orchestration, and the orchestra themselves played them beautifully. The hardest piece to write might have been the main theme. I tried many, many different times to write it, and would just give up after a day sitting at the piano with nothing good happening. Eventually I stumbled on the idea of trying to go small with it instead of going big, which is how Guild Wars themes usually are. I thought it would be more interesting to do something along the lines of what Rogue One did or what the James Bond movies do, which is put you right into the story first and foremost and then hit you with a bit of the theme a little ways in. The way we did this was with a quieter opening piece that plays when you launch the game, and then when you take the airship to Amnoon about 10-15 minutes into the story, you get a slightly bigger and more energetic version of the same piece. I think some people are disappointed with the lack of a big, bombastic theme, but I thought we should try something new to keep it fresh this time around. MB – We know that at one time, you worked for Harmonix on Rock Band — one of my favorite franchises, by the way… and one that’s vastly different in nature musically from the epic orchestral style of a fantasy MMO score. What made you decide to switch from working on projects like the Rock Band Green Day edition to Guild Wars 2? MD – I kind of already touched on this earlier, but the change was something I was really in need of. For one thing, when I left Harmonix, I had been living in Boston for 11 years, and was very ready for new surroundings. No slight against my wonderful Boston friends, but I was done living there. Secondly, while I absolutely love Harmonix and all the people I met and worked with there, from an audio perspective, there was not very much for me to do as a sound designer, let alone as a composer. The music in those games comes almost entirely from outside the studio. Of course, that’s by design, but I wanted the opportunity to grow more than I thought I could if I stuck around. I know that the audio situation has changed a lot since I was there, and I’ve had many friends get the opportunity to grow into excellent sound designers and composers on the studio’s subsequent games. When combined with my restlessness to get out of Boston, though, it just seemed like it was time for me to move on. MB – On a side note, I had to look and see if you were a part of the all video-game industry rock band Bang Camaro, since you did time at Harmonix, and indeed you were. As bands go, that project seems like such a unique experience, what was it like for you. Do you ever think about joining them on stage when they’re in town? MD – For those who don’t know, the short version is that it’s a twenty-ish man band, where there were five instrumentalists and fifteen singers that we called “The Dude Choir” or just “The Dudes”. The number of Dudes would fluctuate depending on who was around and if we were in a city that not everyone could travel to. It didn’t start out as a band that had anything to do with the video game industry, actually. It was just a fun side project for a bunch of Boston musicians who all knew each other. When I mentioned I was in a band where another member was a programmer at Harmonix, it was Bang Camaro, of course. Because he worked there, the band was able to get some of its songs into Harmonix games. First was Guitar Hero II, and then Rock Band 1-3. It cast our music much further and wider than I think would have happened otherwise, and it brought so many cool opportunities our way. I had been on tour all over the country with a couple other bands previously, but it was nothing quite like what we did with Bang Camaro. As far as the experience, it was amazing and awful all at once. It allowed me to live out my teenage dream of playing awesome shows, seeing the country, shredding on a Flying V with a Marshall amp turned up all the way, and doing dumb rock and roll stuff with my friends. I have so many amazing memories that I will always cherish, as well as some terrific friendships. Still, it was unsustainable and any problem a normal band would have was magnified because of its size. Breakdowns of personal relationships, management problems, money problems, etc. etc. I couldn’t tie up any more of my life or energy in the band after a while, and had to move on. The band doesn’t exist anymore, so there’s really no opportunity to rejoin them, although they carried on for a while after I left and I would occasionally jump up on stage with them. It’s been long enough that I only look back on the experience fondly and smile when I think about the hijinks we got up to. MB – Aside from the upcoming Path of Fire vinyl release, is there anything else you’d like our readers to know about? Any side projects that Guild Wars 2 fans will find interesting or tracks you’ve released that you feel they’d particularly enjoy? MD – There’s some personal work that I hope to put out into the world in 2018 as a creative outlet that’s different than what most people might know me for, but my primary focus is more Guild Wars music as things ramp up again for the next season of Living World content. I can’t wait for fans to play and hear what’s coming next! The Path of Fire Soundtrack is available now via iTunes and Amazon. If you’re looking for something a bit more physical, you can preorder the Collector’s Edition on LP via iam8bit today for $40. For those interested in checking out some of Maclaine’s other work, you can find music and videos on his personal site. Featured image via: Guild Wars 2 wiki. Nice stuff. Thanks for the interview!